Description: This one comes on recommendation from a most excellent English teacher and his talented group of creative writers at Wellington High School. 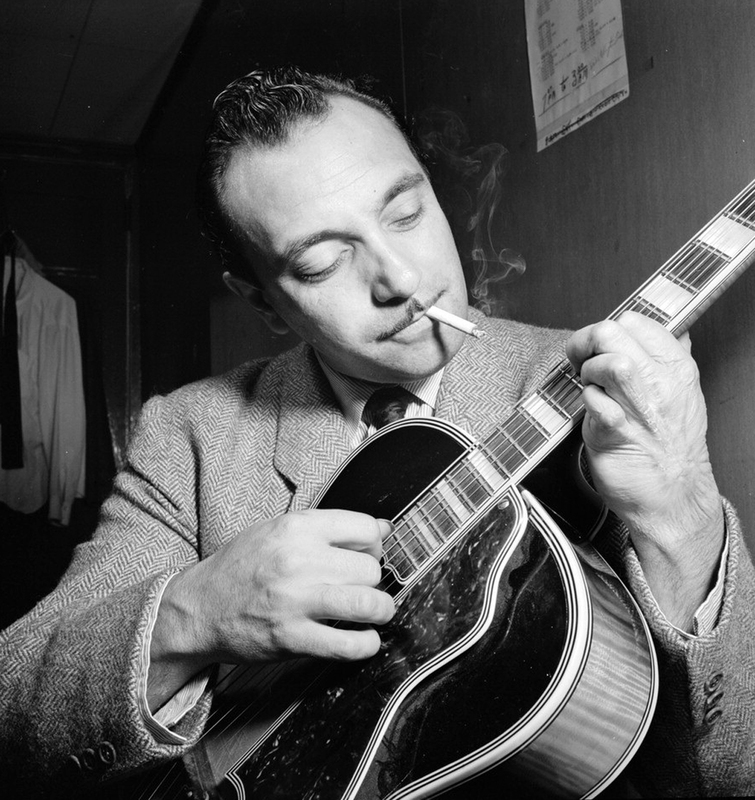 Django Reinhardt is regarded as one of the greatest guitar players of all time and was the first important European jazz musician to make contributions to the genre. His music is a blend of jazz, gypsy swing, and the Romani musical tradition. Amazingly, he was forced to create a new technique for playing the guitar after a fire burned and paralyzed his fourth and fifth fingers, where he only used his index and middle finger for solos (a technique now dubbed ‘hot’ jazz). The music is lively and full of personality. If you enjoy writing to guitar or jazz, this is a must. Check out the Youtube link from Youtuber Jazz n’ Blues Experience to see where you can purchase this particular album. Shout out to Mr. Laubscher! Lit Mag for life! Hah, love Mr. Laubscher! Thanks for coming to the site!